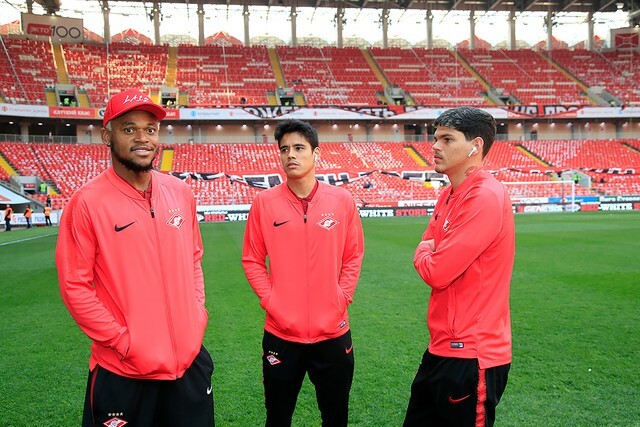 In December 2018, Spartak Moscow launched a unique large-scale training program for young players under the brand "Spartak Junior Football School". To implement this ambitious project, the club combined resources with the market leaders in the sports franchise, "Sports League LLC", which owns Russia's largest network of football schools "Junior". 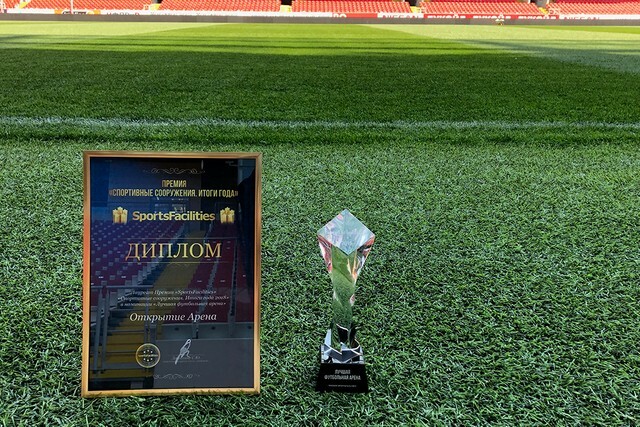 FC "Spartak-Moscow" are the first among football clubs in Russia to bring such an initiative to the market. By 2023, after the first 5 years of its implementation, up to 450 schools are scheduled to be opened in Russia and CIS countries, under the brand "Spartak Junior", covering about 50 thousand children involved in football. The project will allow the club to take up a leading position on the market. "Spartak Junior" should bring red-and-whites not only commercial benefit. The project should also be a success from the sporting point of view: holding national children's football tournaments under the "Spartak" brand will provide the opportunity to monitor young talents and oversee the creation of an elaborate national network of coaches and scouts. 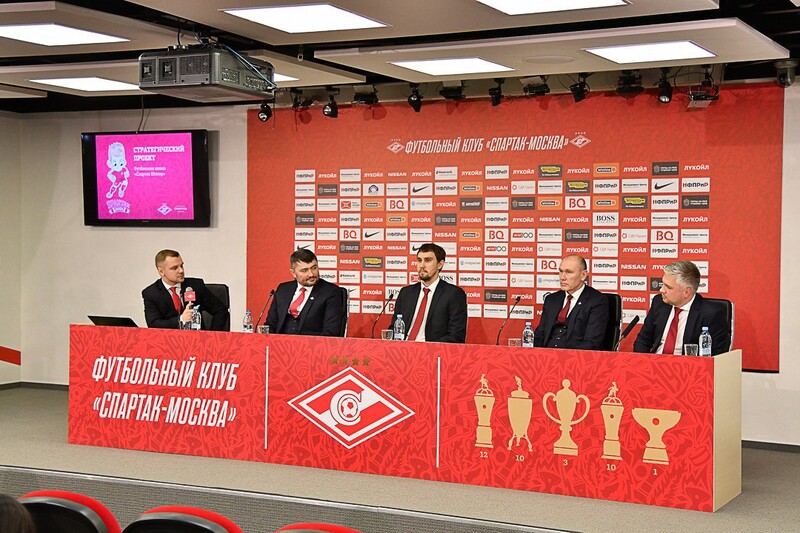 A press conference dedicated to the start of this new project was held in the conference room of Otkritie Arena on January 17. 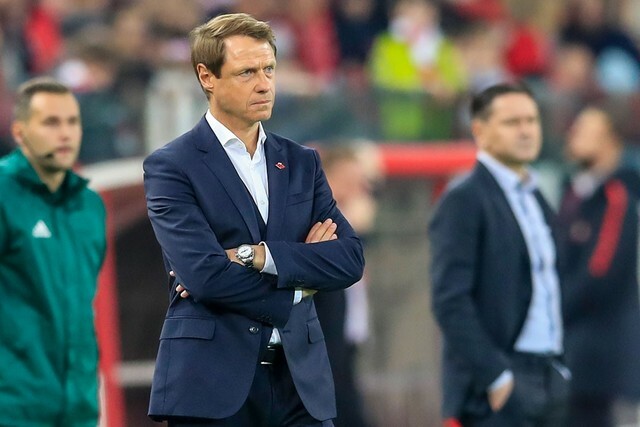 Spartak-Moscow’s commercial director Aleksandr Atamanenko, sporting director Sergei Rodionov, Spartak’s Academy director Dmitry Sidorov and “Junior” CEO Aleksandr Sementsov were all present. — Children who will be involved in "Spartak Junior" schools, will not only be able to fall in love with football, but also get familiar with the Club’s brand, — said Alexander Atamanenko. - On our side we’ll be able to seriously expand our CRM base. That we were first to launch such a project consolidates our position as market leaders. Children's events, which will be held by Spartak Junior, will give an opportunity to attract new sponsors and come up with new sponsor activations. Unique methods and high-quality IT systems will be used in training of young players. 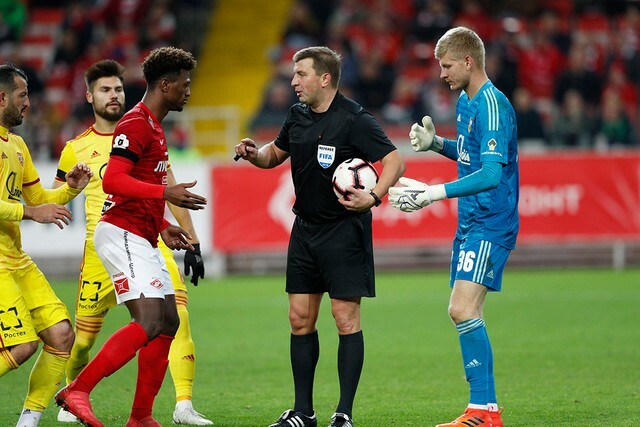 In addition, Spartak will monitor quality control at each stage of the project and the club will have the tools to protect its brand from unauthorized use. — We will use our experience in developing such large-scale projects — Alexander Sementsov took the floor. — We will promote the "Spartak Junior" franchise regionally. We will use a developed IT platform, which was recognized by the Skolkovo Technopark as unique and innovative. We will be able to control the quality of the training process, train coaches and managers with its assistance. — Despite the fact that the project has only just taken off, work on organizing a large-scale tournament has already begun, —Sergey Rodionov said. —Its final part may be held at the Otkritie Arena, if the schedule allow. In addition, I have already looked into the work of "Spartak Junior" schools coaches and I want to say their approach is a serious one. — The Academy is interested in improving the level of training of young players in the regions, first and foremost — said Dmitry Sidorov. — We are ready to further this project in any way we can, that includes the methodical part. We will also monitor the work of coaches and organize their internships. We hope that “Spartak Junior” schools’ specialists will become our, metaphorically speaking, "extra pairs of eyes" and will help us unearth talented players. First “Spartak Junior” schools will be opened in January and February. Coaches who will work there, have received training both at the club and the Academy.